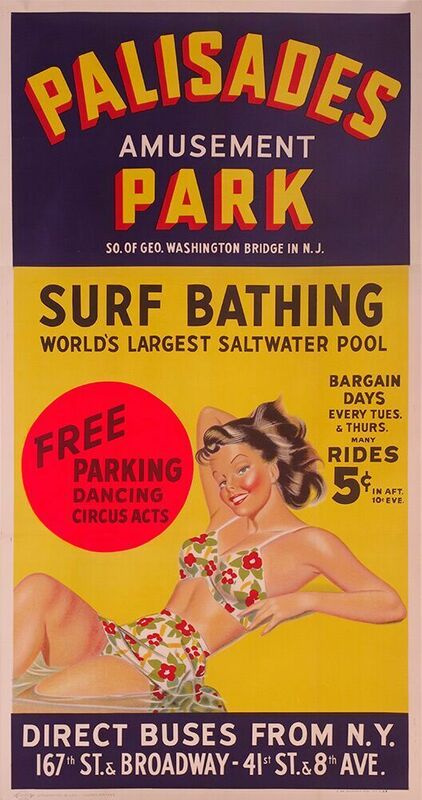 Palisades Amusement Park was a thirty-acre amusement park in New Jersey that opened to the public in 1898 and closed its gates for good in the September of 1971. Its name merely suggested its grandeur, and this explosive, colorful poster gives a glimpse into the fun that was to be in store for visitors. Amazingly, even with its age, the colors are still as vibrant and eye-catching as when it was first printed.